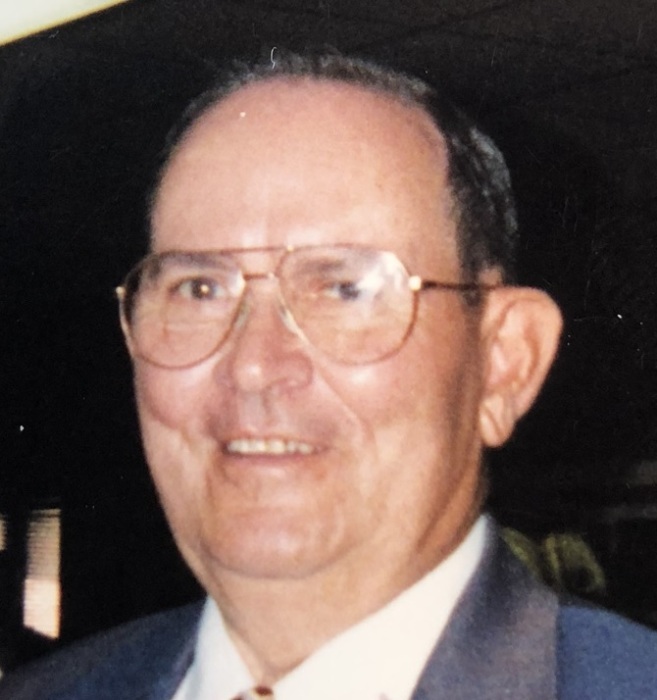 Homer Ray Bogle, age 90, died on January 27, 2019 at 1:05 a.m. He was born on April 8, 1928 in Rowan County, the son of the late Harriet Elizabeth Albright Bogle and Harvey Wakefield Bogle. He attended the Rowan County Schools and was a United States Navy Veteran serving from 1945 to 1949.He was married to Martha Louise Pinkston, daughter of the late Adam Locke and Carrie Graham Pinkston, on November 28, 1949. He retired from Norfolk Southern Railway in 1989 and continued to work in landscaping and farming following retirement. Homer was a life-long member of Salem Lutheran Church, served as Cubmaster for over a decade, and was active in the men’s choir. He also resided in Charleston, South Carolina from 2009-2018 before returning to Salisbury. He will be remembered for his generosity, love of sharing good humor, love of fishing, but mostof all, for his love and dedication to family. In addition to his parents, Homer was preceded in death by all of his siblings, including brothers Carl, Roy, and Edward Bogle, and sisters Margaret Furr, Daisy Bogle, Louise Schenk, and Hallie Dobbin. Left to cherish his memory are his wife of over 69 years, Martha Pinkston Bogle, Daughters: Theresa Bogle Athey (Carl) of Salisbury, Debbie Bogle Barton (Bill) of Murfreesboro, TN, ans sons: Barry Bogle (Sarah) of Salisbury, and Phillip Bogle of Charleston, SC; grandchildren: Scott Bogle, Travis Bogle, Curtis Athey, Stacy Moore, Adam Barton, and Ray Bogle; great-grandchildren: Wyatt and Elizabeth Bogle, Faith and Austin Moore, Jayden Athey, Blake, Ava, and Joey Barton. Visitation: 2:45-3:45 PM Wednesday, January 30, 2019 at Salem Lutheran Church, 5080 Sherrills Ford Rd, Salisbury, NC 28147. Service: 4:00 PM Wednesday at Salem Lutheran Church with the Rev. Dawn Rister and the Rev. Clarence Sifford officiating. Interment will follow in the church cemetery. Memorials: Memorials may be made to Salem Lutheran Church. Lyerly Funeral Home is serving the Bogle family. Online condolences may be made at www.lyerlyfuneralhome.com.